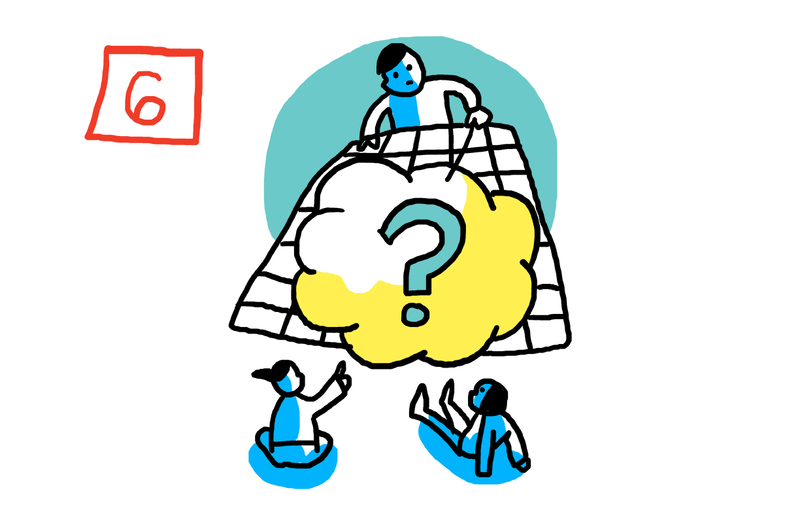 Are you planning a brainstorming meeting or company strategy session? As graphic recorders and visual facilitators, we have participated in thousands of facilitated meetings across many industries. Whether you are a Fortune 500 company or a new startup; some things are universal when conducting an internal meeting. While you may be familiar with what can go wrong when meeting planning, ImageThinking allows us to see these 7 items as opportunities rather than pitfalls. The only meeting planning was done by a senior exec admin. She’s got the room booked and people in the room. Maybe some junior folks have been delegated to “plan” but who has vetted the objectives and agenda? Visualize these items at the start of the meeting to align the group, this will also serve as a reminder to stay on track throughout the session. For example, a top tech company used an agenda we created to set the tone of the meeting and as a check to make sure they accomplished their goals. Objectives (where are we going), Vision (Why are we going there), & Agenda (what is the itinerary for this trip). A brainstorming meeting is going to require a good deal of thought regarding defining realistic objectives and effective meeting tips to achieve them. Don’t confuse meeting objectives with your department’s objectives. Our clients have gotten a lot of use out of our templates and workshops, one major vaccine company redefined their business strategy thanks to our one day visual thinking workshop. If the people who have the authority to bless ideas, approve money, and provide key insights are missing one of two things will happen: Your meeting will stall out as soon as someone in the room points out that “we really need X for this discussion” or worse yet, the people in the room will move forward only to find all their work in vain, when Ms X didn’t buy-in. When we support a brainstorming meeting, we make sure these essential people are involved throughout the process, from the initial meeting planning call to the day of the event. We were once meeting planning with a team who was tasked at creating a three year road map. The first hour of the day was spent naming names of people who should be on the task force. What was this task force for? To meet at a later date to make the roadmap. Instead of doing the real work, the group punted, delaying any decisions for a later date, to other folks. It is difficult to be collaborative if we aren’t aware of what other departments are doing. There is value in recaps, but don’t confuse show and tell with brainstorming strategy or decision making. We have found a great way to get everyone up to speed pre event is to create infographics or social media teaser graphics: send us the info & we’ll take care of the rest. For SAP, we created a package of infographics that went out on social platforms to highlight their efforts at an upcoming meeting to the rest of their company, as well as showcasing their innovative thinking to thousands of viewers. No one is bringing insights into the room. Research is missing, your client’s’ perspective isn’t represented, your competition is ignored, industry trends are absent. In our book Draw Your Big Idea, we help you through simple exercises and brainstorming strategies to get into the heads of your clients & competition. A leader of a major tech company uses our exercises on a daily basis for meetings, and told us it changed their habits for the better outside of work as well. The same senior ex that was too busy to define the objectives has become the default facilitator. While she might the expert at the topic at hand, it is not a guarantee that she is skilled in group dynamics and decision making. Invest in having a professional facilitator who will focus on the process, encourage full participation and keep the group on task and moving forward. A valuable partner to this facilitator would be one of our graphic recorders; we support your meeting by visualizing the big ideas & engaging your attendees. Isn’t your strategy session worth it? Check out our book Draw Your Big Idea for more tools to achieve your goals.